A VisionIntoArt and Beth Morrison production. 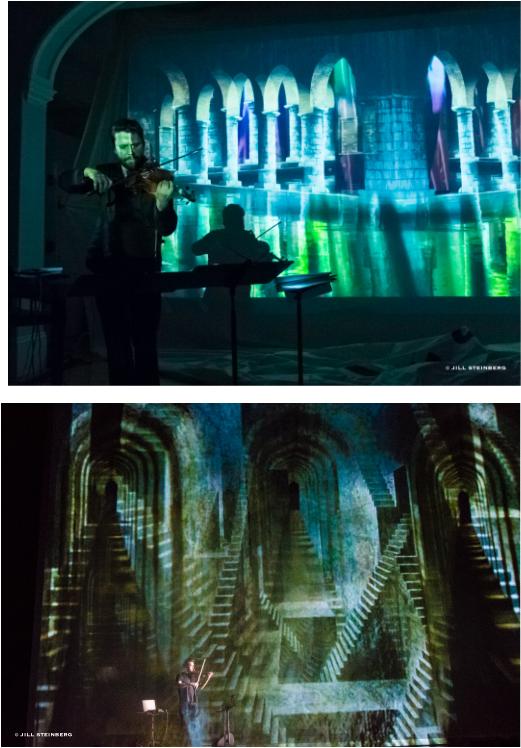 ​Labyrinth was commissioned by The Krannert Center of the Performing Arts in association with VisionlntoArt and was developed and co-produced by Beth Morrison Projects and VisionlntoArt. Labyrinth Krannert Center Promo from Carmen Kordas on Vimeo. VisionIntoArt offers me a great platform in collaboration with my images and videos reaching a higher level through their ambitious and to me very inspiring music compositions. The visual implementation of The House of Solitude/Labyrinth will be more like an installation. The projection screens would present a three dimensional hologram emphasizing the journey of a physical and mental labyrinth leading us through the mind of the male character in this piece by using 3 gaze screens as a projection surface.